Our team of dedicated experts is here to serve you! The Massey Team of 25 sales professionals meet via teleconference every week to discuss trends, share marketing and sales strategies and present all new listings to the balance of the team. Many of our team members have been in the business for a lifetime and are happy to share their knowledge to help other team members address customer questions and concerns. All team members have at their disposal a KNOWLEDGE BASE that is second to none. If you are purchasing or selling a new or pre-owned yacht, Massey’s highly experienced staff will make your process smooth and enjoyable. We have the capabilities to handle ALL aspects of the sale or purchase process and will work with you to achieve the results you expect. I have had the pleasure and privilege of selling, listing and outfitting yachts for couples and families since 1977. Nearly 40 years of involvement in the marine industry has given me the opportunity to learn a great deal about yachts, outfitting, problem solving and making dreams come true. During that period I have been involved one way or another in helping over 3,500 yachting families purchase or sell their yachts. Part of the joy of working closely with yacht buyers and sellers is getting to know them and being able to share my experience and knowledge regarding yacht construction, design, handling characteristics and marine history. Helping to negotiate deals that are fair to all parties and making sure transactions go smoothly is a constant focus. I am passionate about sailing yachts, downeast boats, trawlers, motor yachts and catamarans in the 30’ to 70’ size range. If you are looking to purchase, sell or outfit these types of yachts I would appreciate the opportunity to be involved. I am available seven days a week. 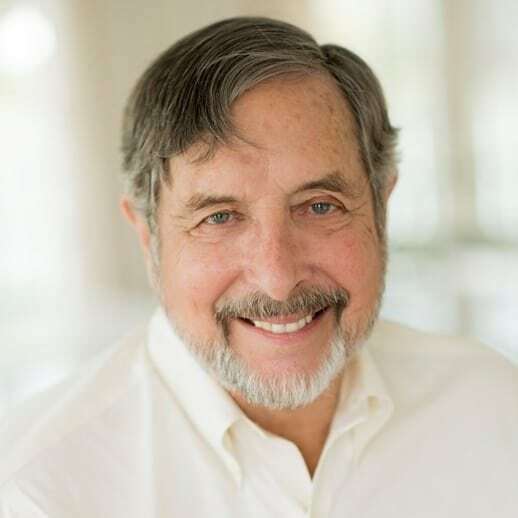 Since 1977, Ed has represented his customers in the purchase and sale of sailboats, motor yachts, trawlers, catamarans, cruisers, center console and downeast yachts and has been in command of 5 different types of Catamarans ranging from a 16’ Hobie cat to a 42’ Manta, 15 different types of power boats ranging from a 20’ Shamrock to a 42’ Nordic Tug, and 35 different types of sailing yachts ranging from Capri 22’ to a 62’ Schooner. After a 20 year banking career, Alice joined Massey Yacht Sales & Service in 1996 with the thought of doing more sailing. With her interest in sailing and banking background the job sounded like a perfect match. As the business manager, Alice is responsible for assisting buyers and sellers with closings to insure a smooth transaction. Additional jobs include maintaining office computer systems, assisting with marketing and collateral materials and training new salesman. Numerous technical courses and seminars from J Boats, Freedom Yachts, Pacific Seacraft, Tartan, Westerly Yachts. After spending 25 years in the corporate world as an account executive with a major apparel manufacturer coupled with 10 years in new and brokerage yacht sales, Doug brings an attention to detail and follow through that will make the search for your next yacht an enjoyable process. Specializing in trawlers and motor yachts as well as racing and cruising sailboats from 40 to 60 feet including both domestic and foreign manufacturers with a knowledge of layout, systems, and hull design, Doug will help you cut though the endless variables and find the perfect fit for you. He will guide you seamlessly through the entire purchase process from survey/sea trial to decommissioning and shipping. Doug conveys a genuine love of the process and a professional approach in helping you find your next boat. Capt. 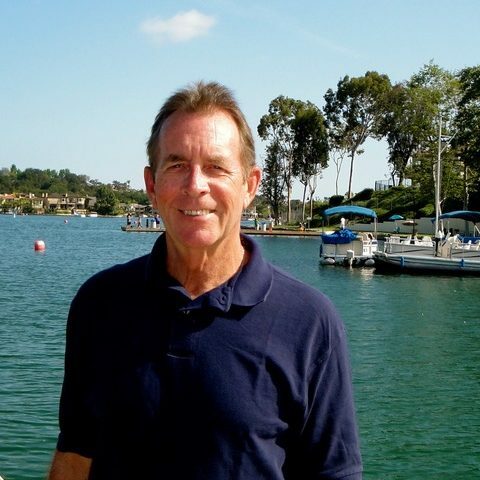 John Barr started his water career as a child, from home ports in Chautauqua, NY and Stonington, CT. After college, he moved from the Atlantic to the Pacific and sailed from Santa Monica Yacht Club in Marina del Rey, CA and later from Channel Islands Yacht Club, in Oxnard, CA for over 25 years. His own boat is a Catalina 42 Mark II, in which he frequently sails from his home port in Stuart, FL to the Bahamian islands. He is a member of the Seven Seas Cruising Association, Channel Islands Yacht Club, Hope Town Sailing Club, and the Waterway Radio and Cruising Club. 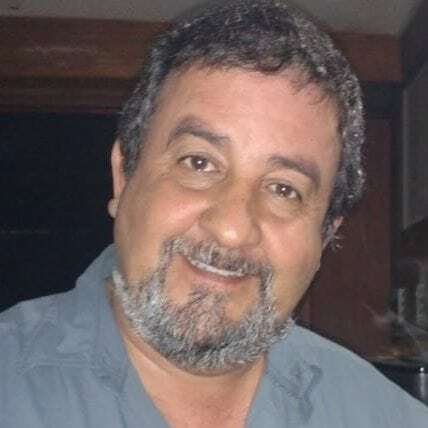 He is a professional mariner and holds a USCG 100 ton Masters license, with sailing and towing endorsements, Electronics Officer, STCW-95, MMD, and TWIC. His goal is to perfectly match the buyer to the boat, whether when ordering a new boat or selecting a brokerage vessel. As a veteran cruiser, he understands both the vessel and the systems that allow for a safe, comfortable, fun-filled passages afloat. 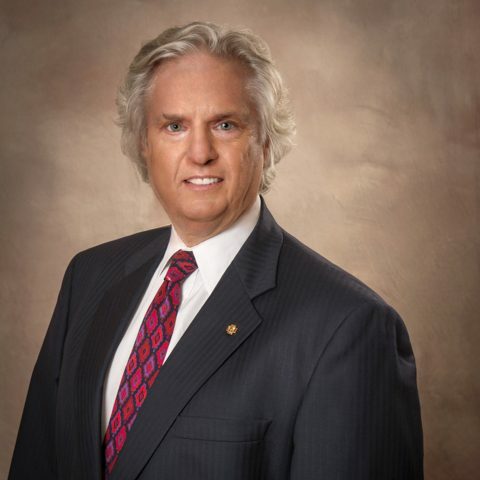 He is sales manager for the Stuart, FL Massey office. We just wanted to say a heartfelt thank you to the both of you for all you have done to help us acquire our new sailboat. We could not have asked to find anyone more capable, friendly and knowledgable to guide and hold our hands through this. We are hopeful that we can continue to draw on the knowledge you both share and build a friendship that we can all benefit from in the near future. Thanks again, and we will see you soon! She’s finally ours!! Just got the word. Marcie and I can’t thank both of you enough. We owe you a debt that can never be repaid. We will rename her “Island Jim “. Marcie and I both turned in our resignations today. We plan to be onboard the first week in April. We are looking forward to seeing both of you soon. Dinner is on us. Thanks again for a great job. We really appreciate all your effort and expertise. You gave us so much valuable information. I truly feel so much more confident but not over confident. Look forward to keeping in touch and calling on you again in the future. Words can’t express the gratitude for what your investment of time, skill, and patience has meant to us. Connie and I can’t say “thank you both” enough to make a dent in the appreciation we feel towards you. Giving someone the ability to participate in something they really enjoy isn’t quite like giving someone a kidney, but it’s close. What a super job you two are doing teaching couples to do what you are passionate about. I know they are getting the best advice when they learn from you. 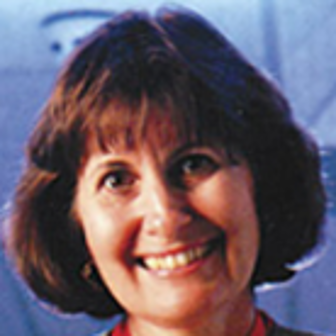 Susan is an experienced Caribbean cruiser with extensive background in the yacht business. Her experience well qualifies her to assist in sailboat selection, outfitting and getting underway. Nothing pleases her more than hearing about others dreams, and sharing her experiences. 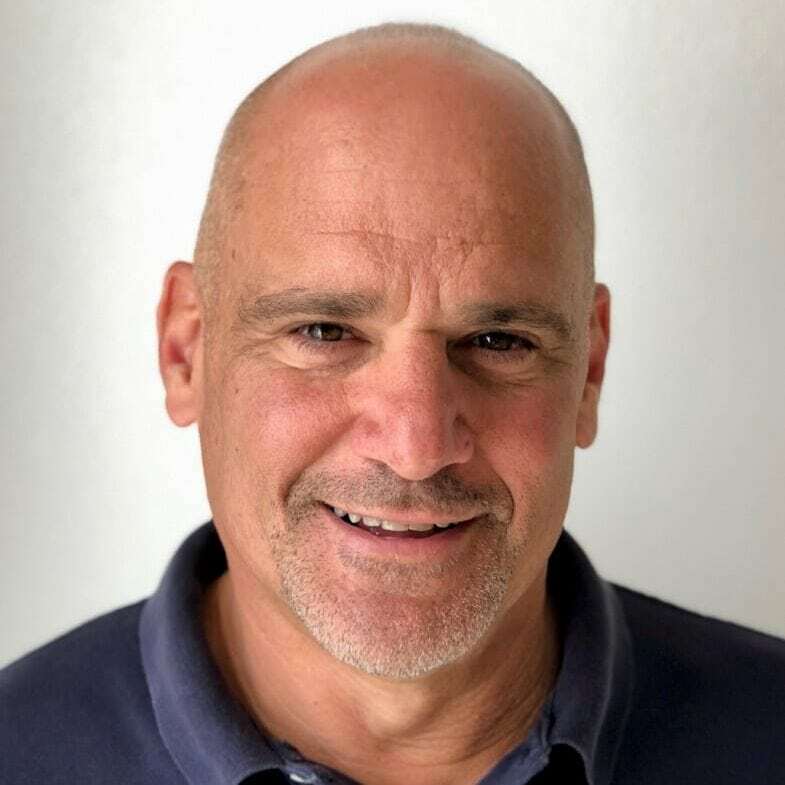 Sean has 40 years of diverse experience in the yachting industry beginning on boats in his home waters of Eastern Long Island. While sailing competitively and boating for pleasure, Sean sailed and handled powerboats of all shapes and sizes. For Sean, it was only natural to venture beyond the bays of Long Island to work on private and corporate yachts along the East Coast. Whether it was family cruising in the Bahamas, maintaining a classic yacht built in 1929, or conducting sea trials on a large custom yacht, Sean gained a unique array of boating knowledge. 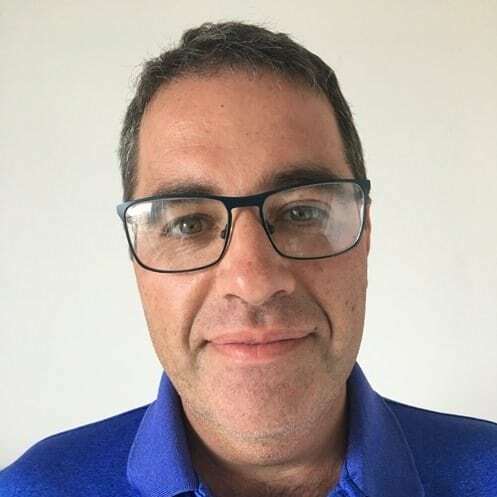 In 1998 he moved to Miami and quickly became involved in the sailing and boating community beginning with several years volunteering at Shake A Leg Miami, a sailing center created to provide accessibility to individuals with disabilities. He taught sailing at Shake A Leg, and helped individuals who were physically challenged learn to sail and have a life on the water. 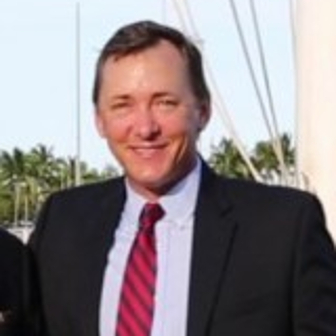 In addition to teaching sailing and power boat handling to individuals and families for the last 20 years, he served as a board member and Past Commodore of the Coconut Grove Sailing Club and spent time sailing his own boat in Florida’s waters, as well as the Bahamas, and the British Virgin Islands. 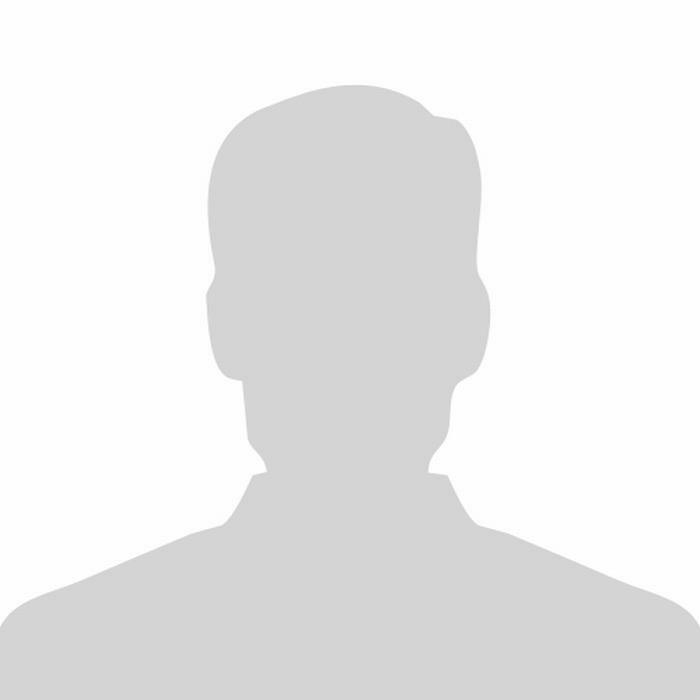 Since 1990, Sean worked for the United States Coast Guard both as an enlisted coasty and a civilian. After he retired from active duty, the Coast Guard hired him to be a search and rescue Command Duty Officer. His in-depth knowledge of sailboats and powerboats, large yachts and small boats, classics and new builds, has given him insight into the needs of current and prospective yacht owners and to help match those needs with the right boat. Please contact Sean with any questions about selling your boat, or buying a new one. Born into a boating family, Valerie has been on the water, in one form or another, her entire life. Growing up on power boats from 25’ to 55’ and later falling in love with the art of sail, she has experience in both worlds. In 2003 she left a successful corporate career as a national account executive in the telecom industry, to run off to sea and start a charter company specializing in sailing vacations in the Caribbean and Mediterranean. Her experience includes extensive sailing in the Greek Islands, Italy, Turkey and treks along the entire eastern seaboard, from the last lighthouse in Newport to the tip of Florida’s keys, the Bahamas, British Virgin Islands, the Grenadine Chain, Trinidad, and Tobago and more. Her experience as a charter broker gives her the opportunity to sail and work on monohulls and catamarans from 40’ to 140’ as well as motor yachts from 35’ to 120’. Valerie has seen a lot of boats over her 20 years as a professional in the marine industry and knows “what works” from a both a mechanical as well as esthetical view point. 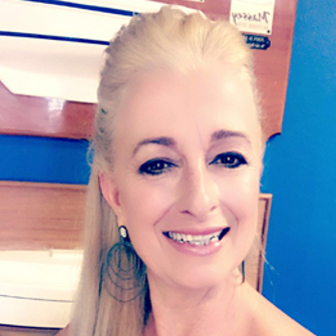 Valerie is happy to share her passion, knowledge and experience to help you sell or find the perfect boat for you, be it sail or power, new or broken in, it’s all good! 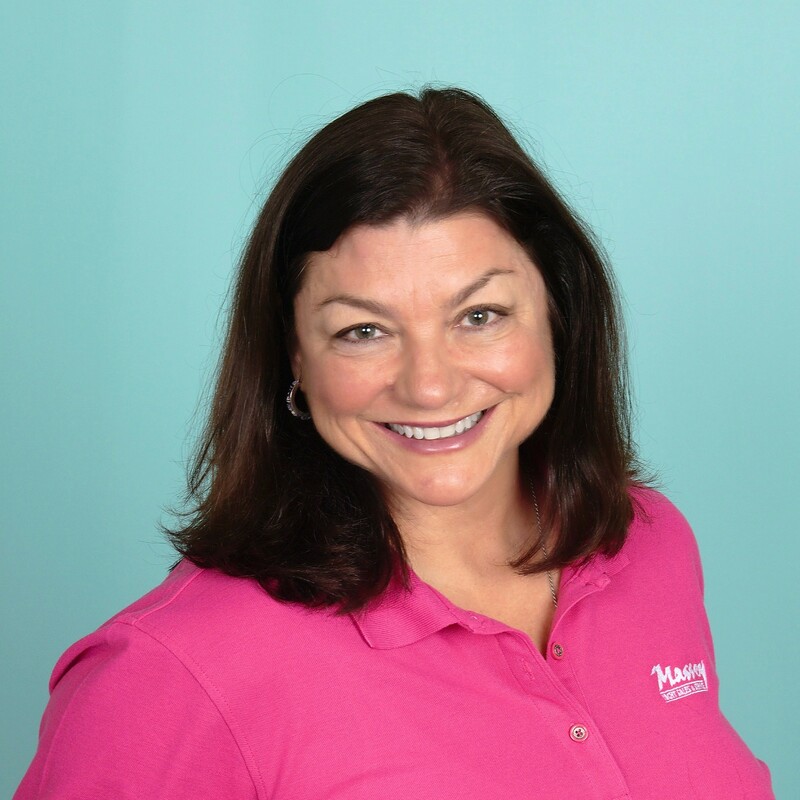 Valerie is a graduate of The Ohio State University and splits her time between living on her boat in Miami and Atlanta, GA. She holds a USCG 100T Master Merchant Marine Officers License and is also an ASA certified sailing instructor and member of the Miami Yacht Club. Capt. 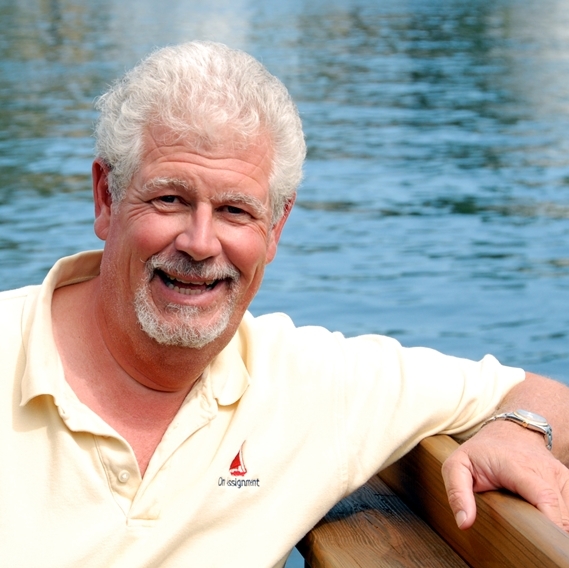 Doug Schultz is an experienced power and sail boater, who loves to share his passion and knowledge of boating with his clients. He splits his time between the Canadian Maritime Province of Nova Scotia, and Stuart, Florida. While in Florida he lives aboard his 42 Silverton Convertible, enjoys fishing the Gulf Stream, and cruising the Bahamas. He is a professional mariner, and holds a USCG 100 Ton Masters license, and also operates a TowBoat U.S. towing and salvage business based in Fernandina Beach, Florida. Capt. Doug strives to provide buyers with choices that match their cruising needs and budgets, as well as working hard to market sellers vessels, and ensuring that the sales process is a smooth and enjoyable one. Julie joined the Massey Yacht Sales Team in October 2016, bringing with her over 30 years as a successful business woman owning many Corporate Companies in Brokerage Sales, Publishing and Marketing. Her Dedication, persistence and determination to assist her clients’ needs in the purchase or sale of their yacht was evident right from the start, closing out 2016 with great success as a multi-million dollar broker in both sales and listings. 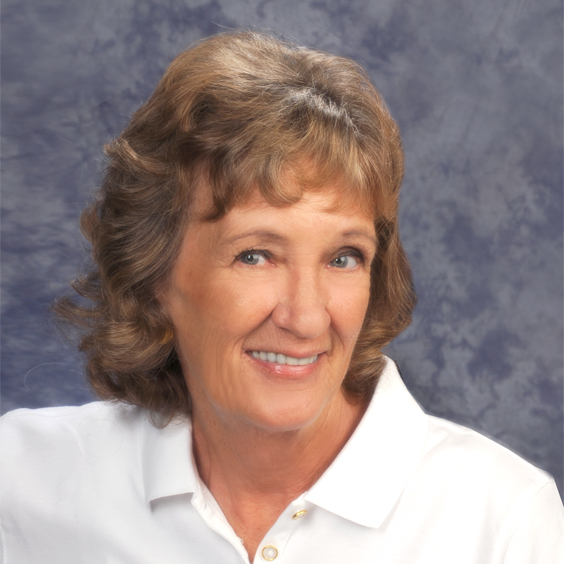 Born and raised in Palm Beach, Florida Julie enjoys the Florida lifestyle, everyday. Her love of boating started at a very young age with her Papa who shared his love of the water, fishing and boating in Palm Beach, Florida. Moving and sailing boats throughout the East and West Coast of Florida. She enjoys both power and sailboats. Successfully buying and selling her own yachts has prepared her well in both aspects of the boating industry enabling her to assist her clients in all aspects of the buying or selling process. Now living her dream living aboard a 90’ Custom Motor Yacht she now wakes to the most beautiful waterfront property one could ask to experience. Also, owning a 39’ Freedom Sailing Yacht enjoys sailing, so whatever watercraft you desire power or sail Julie has the acumen, knowledge and persistence to make your dreams come true! Scott’s lifelong interest with boating, sailing, and ultimately his career, began as a youth sailing with his father in NW Ohio and at a YMCA camp in SE Michigan. Over the years he has sailed, cruised and raced many types of boats, including daysailers, one designs, offshore cruising and racing yachts, multihulls and many various powerboats large and small. 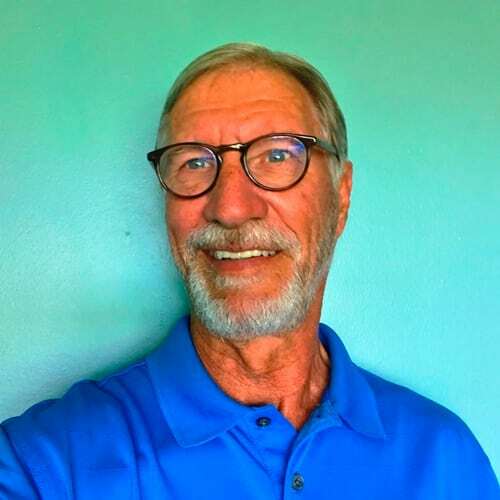 Scott became involved in boating industry in 1976 with Rocky Mountain Marine in Denver, CO. After several years, Scott yearned for warm waters, and moved to the West Coast of Florida. There he managed numerous new boat commissioning and service yards, partnered in a yacht rigging and service company, and became involved in the charter business where Scott managed a fleet of approximately twenty yachts. Scott also was quite active in domestic and international yacht deliveries; power and sail, for private owners, brokers, builders and charter companies. Scott’s career with Massey Yacht Sales & Service began in January 1989 in Palmetto, FL, where he managed and oversaw the commissioning, outfitting, rigging and delivery of new and trade-in yachts. Within a few years, and with Ed Massey’s encouragement, Scott turned his attention toward new boat and brokerage sales. During his tenure in Florida, he had the privilege to work with countless customer in Florida, throughout the United States and Internationally. In 2012 Scott was reacquainted with his first love, who was living in Southern California. They married in 2013, and Scott moved to the “other West Coast”, joining Heritage Yacht Sales in their Newport Beach, CA office. There Scott was active in new and brokerage yachts, both sail and power. 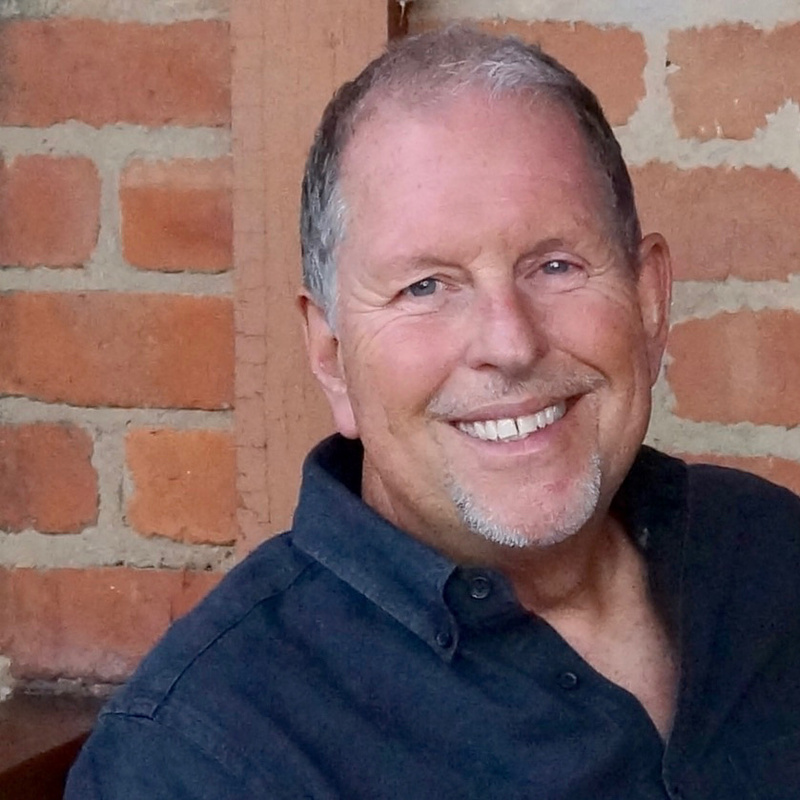 In California, Scott maintained his Florida Yacht & Ship Salesperson’s License, allowing him the opportunity to continue to represent existing and new clients with yachts located in Florida. In 2017 Scott earned his California Yacht and Ship Broker’s License and in 2018 Massey Yacht Sales & Service established a presence in Southern California. Scott looks forward to the opportunity to share his knowledge and experience with his customers and to assist them in making intelligent and well-informed decisions. Scott’s continual professionalism and integrity is applied to the purchase of a new or brokerage yacht, and /or the selling of a current vessel. Alex, a native of New York City, grew up boating on small inland lakes in northwest New Jersey. After relocating to Miami 4 years ago he finally fulfilled his lifelong dream of sailing on the open water. 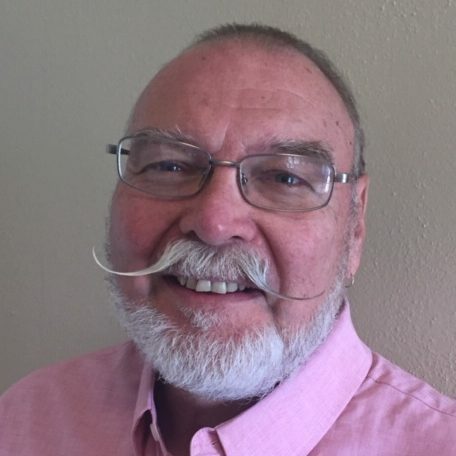 A former attorney, Alex brings to Massey not only his passion for boating but also attentiveness to detail, a professional attitude, and a real desire to help customers find and love their perfect boat. 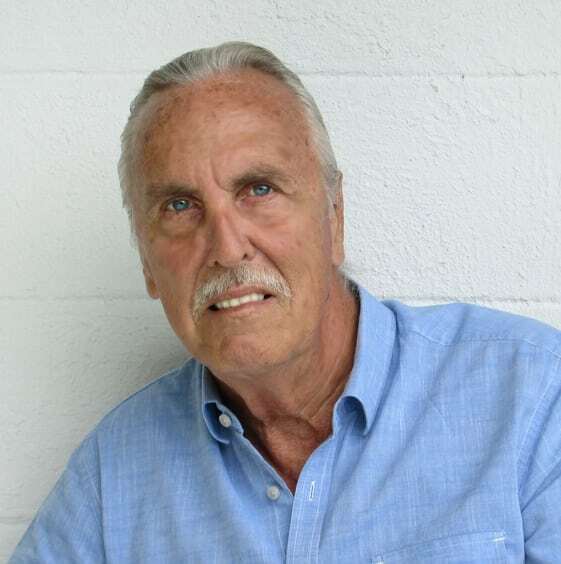 He is an active member of Coconut Grove Sailing Club in Miami and an avid Biscayne Bay sailor. Barry is a State Licensed and Bonded Yacht & Ship Salesperson who will utilize Massey Yacht’s extensive resources and tools to expertly tailor a program for Buyers and Sellers to accomplish their goals in an effective and secure manner. Ask Barry how he can be sure that Buyers will find the right yacht at the right price and that Sellers will get the best price in the appropriate timeframe. Barry has been sailing continuously since he was 10 years old. After service in the US Navy, and the US Coast Guard, he began buying his own boats while working at Motorola. Upon retiring from Motorola, he sailed his beloved Hunter 40 Legend to Florida to work in the field that has been his life-long passion, yachting. Call, text or email Barry today to discover how he can help you realize your nautical ambitions. Captain Joaquin Diaz grew up in, and around the waters off Biscayne Bay, the Florida Keys and the Bahamas. He holds a USCG 100 ton Master license and regularly teaches several courses for USCG license. In 2004 Joaquin, wife and children moved aboard their 41’ sailboat and cruised throughout the Caribbean until moving back to Coconut Grove in 2017. One sunny afternoon a friend in the marine finance industry asked, “Have you ever thought about selling boats? It seems to me that’s what you should be doing.” And so this was the beginning of a venture of passion. Joaquin holds a Masters Degree in Architecture, and a Bachelors Degree in Construction Management. He is a Florida Certified Contractor, but it’s the water that calls him like the sirens of Greek mythology. With an extensive practical knowledge of yachts, their systems, and what it really takes to meet your sailing expectations, he offers a wealth of information that can make the difference. John’s passion for being on the water began in college when a fraternity brother taught him how to sail. After 16 years in medical sales, John followed his passion for being on the water. He earned his USCG 100 ton Masters license with sailing and towing endorsements as well as his RYA Yachtmasters. His new career as a luxury charter captain took him from the Carolinas, through the Bahamas and Caribbean along the entire East Coast to New England. He’s done delivery work on a variety of vessels and his experience has also taken him though sections of the Great Loop. His knowledge of systems aboard yachts was strengthened while working in the Annapolis Maryland area in technical support for Vetus Maxwell and later as a service manager for Hinckley Yacht Services on the Chesapeake Bay. 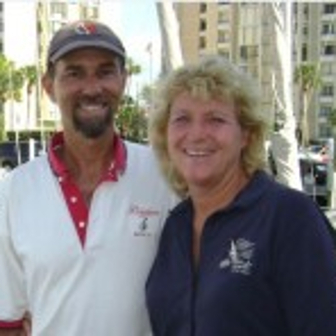 John enjoys teaching and has his American Sailing Association instructor certification. Along with his wife, John most recently made the voyage down the ICW on their 35’ boat from Annapolis to Palmetto Florida. Together they have sailed internationally including Italy and Greece. 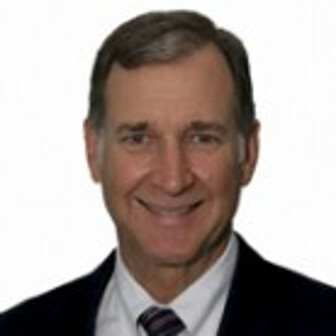 John can help you navigate through the sales process, whether you’re buying or selling a yacht. His familiarity with sailing and power vessels of all sizes and configurations including catamarans will help you make the better decisions whether you’re buying or selling a vessel. He prides himself on his attention to detail while also being responsive to his clients. He looks forward to working with you on your next yacht transaction. Tim has been in the Marine industry the majority of his life. He grew up in the Detroit area, started sailing at the age of six and worked on boats throughout his teens. He enlisted in the USCG at 19, and spent his enlistment flying Search & Rescue Helicopters. Tim spent a good part of his life racing sailing yachts of various sizes in many top regattas, including Port Huron-Mackinaw and Chicago-Mackinaw races, SORC( Southern Ocean Racing Conference) Key West Race Weeks, Charleston Race Weeks, Newport-Bermuda and many more. He has held a USCG 100 ton Masters license, and has captained both sail and power boats up to 70’. He has delivered boats along the East Coast, the Great Lakes, the Caribbean and several across the “pond” to the UK. Tim owned his own marine rigging business, and worked as a Sail consultant for several of the top sailmakers in the US. As a transportation agent for All Boat Movers LLC, Tim also arranges overland and overseas yacht transport. This includes transport of boats on their own trailers, and up to 60’ motor & sail yachts across country on truck, or overseas on ships. Tim knows boats and looks forward to listing your current boat, or helping you find the yacht of your dreams. Steve began boating and sailing while still in college (at the Univ. of NH) sailing on Lake Winnipesaukee, NH, later obtaining his sailing credentials (equivalent to ASA 101 thru 104) at the Boston Harbour Sailing Club in 1978. After retiring from a successful executive career in Telecommunications, Steve began his second career as a Delivery Captain (with over 10,000 “blue water” miles) delivering both power and sailing vessels to and from the Caribbean and the US East Coast. Between deliveries, Steve is a charter captain for the WindWard Sailing School at Amelia Island, FL. In addition, Steve was captain on Laurene, a Bruce Roberts 65 ft. Ketch, for which he implemented a significant refit in 2016. In his spare time, Steve, builds custom fishing rods, builds model wooden ships, and he and his wife escape to fly fish for the ever elusive brown trout. Steve holds undergraduate degrees in Business Management, and Electrical Engineering, and also holds an MBA. 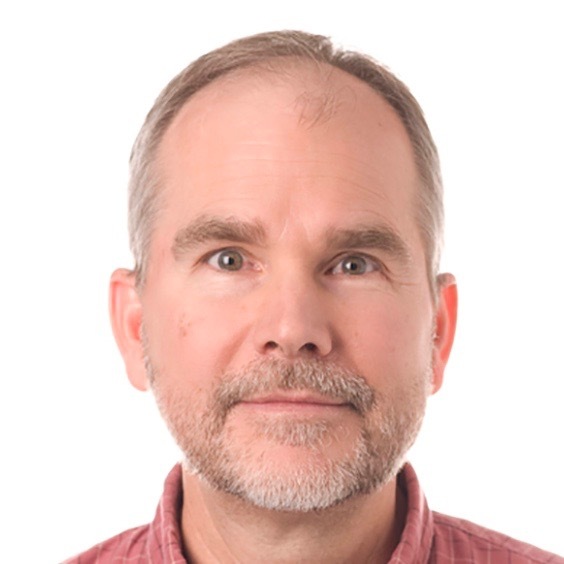 Steve, also holds a USCG Master 100 Ton license with sailing and towing endorsements, and is a member of CAPCA. He lives with his wife and two Cavalier Spaniels in the Amelia Island, FL area. With his over 40 year long boating experience and knowledge, Capt. Steve is very eager and able to assist you in finding the vessel that suits your needs best. Bill comes to Massey Yachts with an extensive track record of both luxury residential and commercial real estate development and sales, handling the lobbying, financing, closing, planning, site selection, government relations and development process. He has completed more than two Billion Dollars in real estate transactions. He follows his lifelong passion for sailing and yachting by joining Massey Yachts. His Power experience includes Rybovich, Huckins, Hatteras and Trumpy, Feadship, Trawlers and Downeast Yachts. Bill started sailing and cursing in the Bahamas in 1972 when the Out Islands were still the Out Islands and the book “Out Island Dr.” was truly the way it was. He went on to sail the B.V.I., Belize and many other places. Rather if its sitting on the dock for hours studying hull shapes, new sail designs, long range cruising or imagining the best yacht for its given purpose Bill Has always been a Yachtsman and looks forward to meeting kindred souls and using his skills helping them find their perfect yacht.